Violinist Gil Shaham and guitarist Goran Sollscher team up for this performance of compositional works by Paganini. Delightful album that still sets the standard for these varied violin/guitar pieces even though they were recorded in November '92. Originally released in December 1993. Featuring violinist Gil Shaham and guitarist Göran Söllscher. "Shaham has a natural temperament for Paganini. He never stumbles over the technical hurdles; the result is a brilliant and exciting set of performances with all the hallmarks of a world-class Paganinian — a round, rich cantabile and a technique that remains subordinate and never interrupts the musical line and flow . . . Guitarist Göran Söllscher is unsurpassed. His vibrant and golden sound — which both accompanies and takes over occasionally from the violinist — imparts an ideal background. 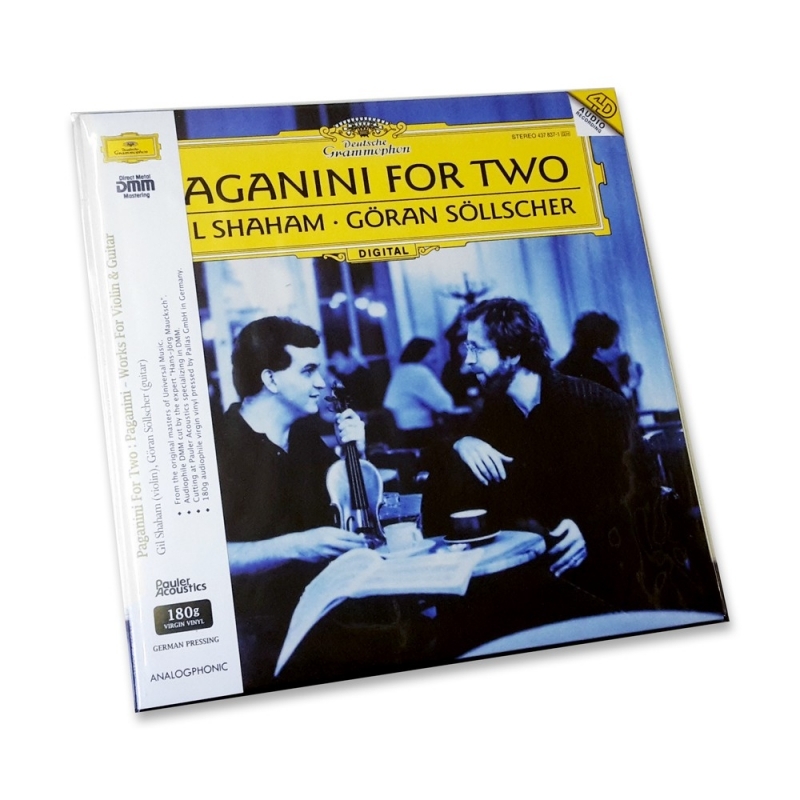 There are a few other good recordings of these pieces but they will have to bow to this duo."